The Refurbished Jura ENA Micro 90 One Touch features a world's first P.E.P. : The perfect espresso thanks to the pulse extraction process. 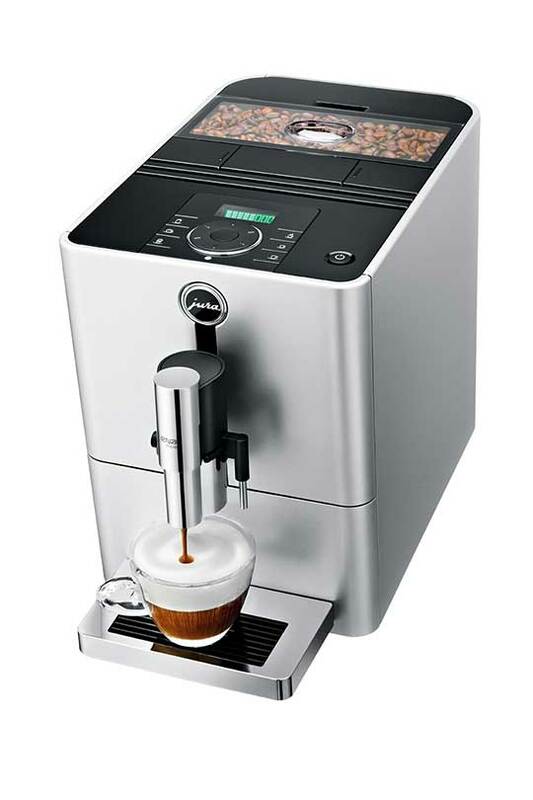 Thanks to One Touch technology, the Micro 90 prepares cappuccino and latte macchiato at the touch of a button. P.E.P. is Jura's new pulse extraction brewing process that significantly improves the espresso shot quality. 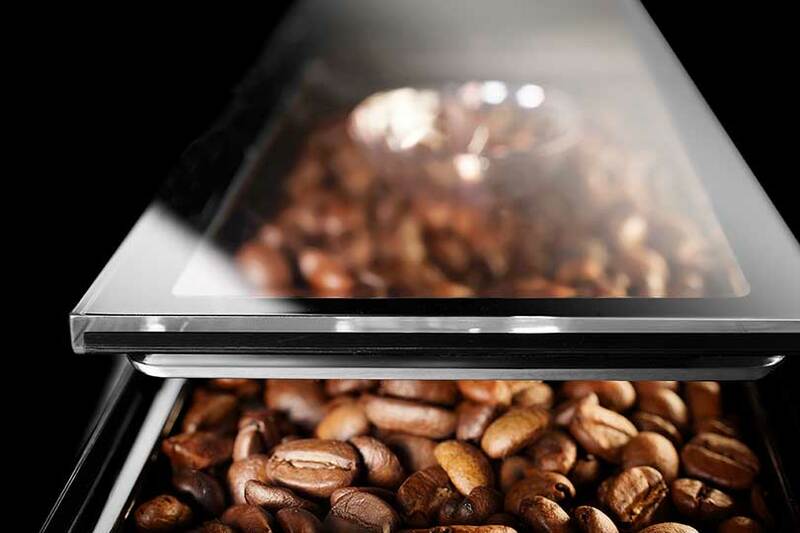 The most compact unit of its kind with One Touch technology to brew multiple specialty coffees at the touch of a button. A “traffic light” display simplifies operation: Green indicates the machine is ready to brew; yellow is programming mode; and red signals cleaning is needed. A rotary dial makes it easy to change milk and coffee volumes and strength to ensure the perfect cup of specialty coffee every time. A professional grade conical burr grinder with five fineness settings and height adjustable spout accommodate a variety of flavors and cup sizes. 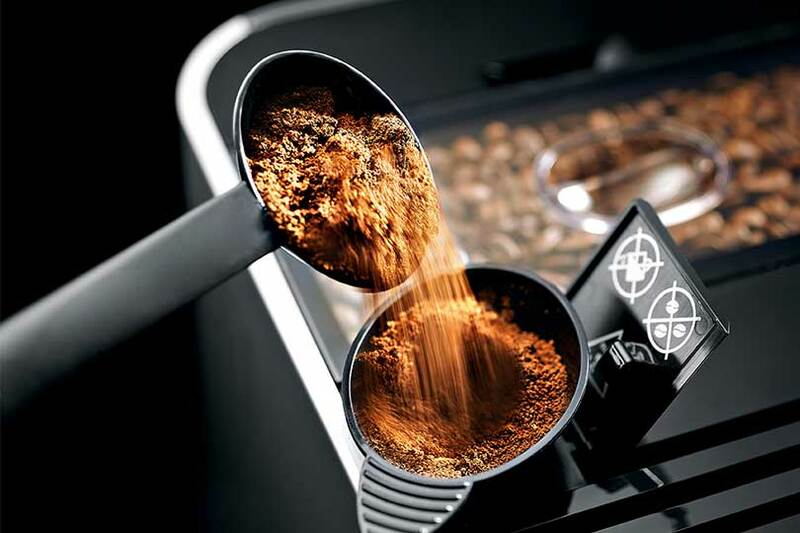 An automatic ground coffee funnel allows for a simple transition from beans to ground coffee. 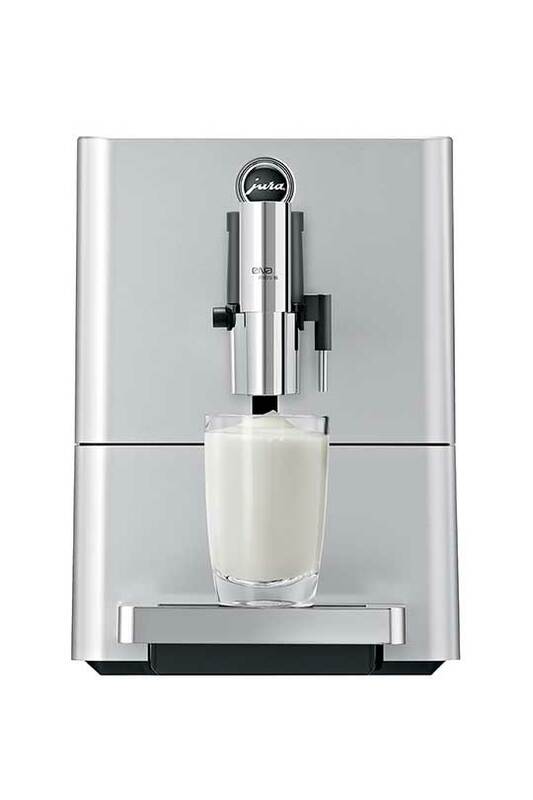 The Refurbished Jura ENA Micro 90 One Touch is a great option for a compact space. Although it measures just 9.1 inches wide, 12.7 inches tall and 17.5 inches deep, it makes specialty coffees with big flavor. Making a great cup of specialty coffee with a refurbished Jura ENA Micro 90 One Touch is as simple as pressing a button. The machine is outfitted with graphic buttons for ease of use. The hardest part is deciding what kind of specialty coffee to make. The Jura Micro 90 is best described in four words: Minimum size, maximum function. The sleek design features dual, height-adjustable spouts that can be adjusted from two to 5.4 inches to accommodate cups of various sizes. Separate coffee and milk pipes ensure the perfect flavor and state-of-the-art fine foam technology makes fine milk foam to top off every cup of specialty coffee. 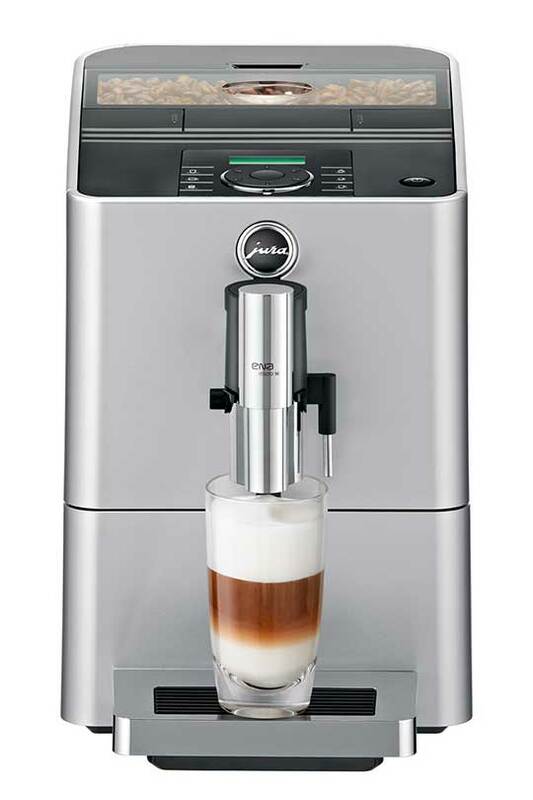 With the single touch of a button, the Jura ENA Micro 90 produces espresso, cappuccino, latte macchiato and café crème. Thanks to a new micro brewing unit, the machine ensures premium espresso. In addition to the impressive range of specialty coffees, the machine also dispenses hot water for tea. All I can say is it tastes like home. No matter where we are in the world, if we have our Jura machine, we are home. Excellent machine! Went from an old Jura E8 to the Micro 90. Didn’t want to spend the money on a new E8 but still wanted the P.E.P and multiple drink options. After a LOT of research went with the Ena 90 and am very happy with it. The water tank and grounds containers are smaller, so if you drink a lot of beverages you will need to frequently refill. The machine looks beautiful on my counter and I like the (visual) of the smaller scale machine. I really like this machine it allows you to customize your drink styles the price was great I'm very happy. We just love it..... so far, so good!!! Most compact machine of its kind, less than 9 inches wide & 12.7 inches tall. The ENA Micro 90 One Touch features a simple “traffic light” display to guide the user. Green means the machine is ready to brew, yellow signifies programming mode, and red prompts you take action for cleaning. 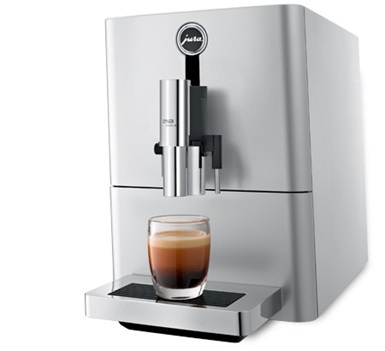 JURA is really raising the bar and its ENA Micro 90 One Touch offers an impressive range of specialties at the simple touch of a button: latte macchiato, cappuccino, café crème, espresso, hot water serving and milk foam. Rotary dial allows for easy changes to programmed milk and coffee volumes and strength (6 to 10 grams). The newly developed micro brewing with P.E.P. unit ensures espresso quality of the highest standard. Professional grade conical burr Aroma g3 grinder. 5 fineness settings. 4.4 oz. bean hopper with aroma preservation seal. Stainless steel thermoblock heating system with intelligent pre-heating feature which ensures each cup is the perfect temperature. Auto-shutoff, Zero Energy Button and Energy Save Standby Mode make saving electricity easy.